EFF gives Ramaphosa until end January to explain dealings with Bosasa - SABC News - Breaking news, special reports, world, business, sport coverage of all South African current events. Africa's news leader. EFF leader, Julius Malema says failure by the president to do so, will see February's State of the Nation Address being converted into a "question and answer" session. The Economic Freedom Fighters (EFF) has given President Cyril Ramaphosa until the end of January to call a press conference where he will clarify his alleged dealings with the controversial company Bosasa. It’s alleged that leading up to the 54th National Elective Conference of the ANC in Naserec, Ramaphosa was given a donation of R500 000 for his campaign as the party president. EFF leader Julius Malema says failure by the president to do so, will see February’s State of the Nation Address being converted into a “question and answer” session until he tells nation what happened with him and Bosasa. “This must be a press conference at which journalists will be able to ask open questions. His explanation in Parliament regarding Bosasa has exposed him as having lied, since both his son and Bosasa contradicted him. 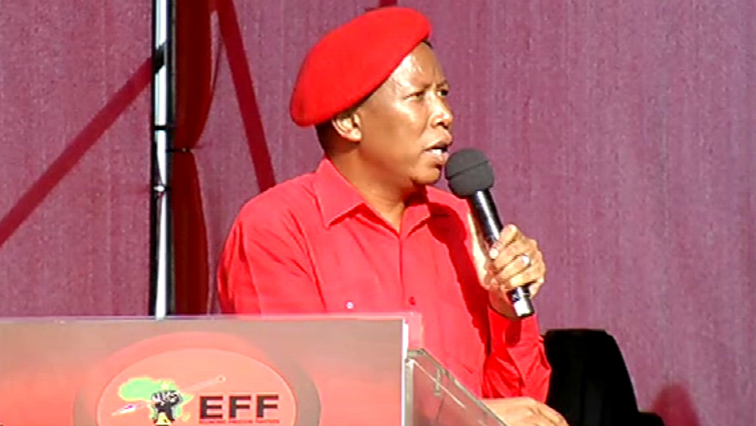 He must further produce credible evidence that he has indeed paid the alleged R500 000 he wrongfully received for his campaign as ANC president,” says Malema. This entry was posted on 23 Jan 2019,05:31PM at 5:31 PM and is filed under Politics, Homepage Featured Story Slider. You can follow any responses to this entry through the RSS 2.0 feed. Both comments and pings are currently closed.